I am counting down the weeks, days, minutes, seconds, etc. until Suicide Squad finally hits theaters. This film remains my most anticipated film of the summer for many reasons, and the internet seems to voice agreement. Within the comic book film renaissance we are in, this will mark the first film with a major focus on the villains. David Ayer is a fantastic filmmaker who knows how to get fantastic performances out of his actors. For reference, I would like to point to his films End of Watch and Fury. He manages to get raw, realistic dynamics from his performers who continuously give it their all. In a recent interview with Yahoo! Movies, Ayer discussed how pushing for realism in the cast was crucial to the film’s product. The rehearsal was very intense. It wasn’t a normal rehearsal, we’d talk about their lives, their history, and really got them to open up as people to each other. I also had them fight. I had them fight each other. You learn a lot about who a person really is when you punch them in the face. It gets rid of a lot of the actor stuff. This isn’t old news from David Ayer productions. 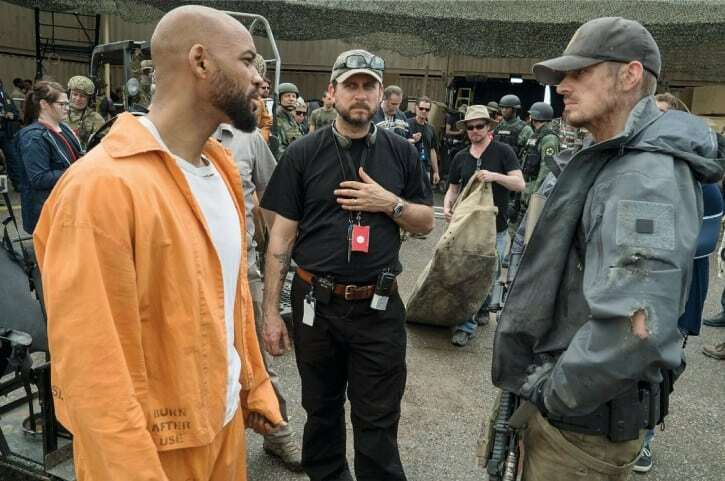 During Fury’s production, Ayer got his cast to have fist-fights on set every day. One of the film’s stars, Shia LaBeouf claimed that it helped his fellow cast-mates (Brad Pitt, Logan Lerman, Jon Bernthal, and Michael Pena) to grow a closer bond with each other. Man oh man, does that sound intense. Based off of just the pre-promotional tour that we have gotten from this cast, I assumed that they already had terrific chemistry – but with this idea in my mind, it sounds like we will be seeing Task Force X give it their all in both a physical and emotional aspect. I wonder who fought who and who got hit in the face and who got angry? These are important questions I need answered. Lol!